Jacob & Tori deliver exclusive wedding and event catering throughout the North East of England. We are passionate about food and providing exquisite, memorable events. Our food is tailored to your requirements and taste. It is presented by our professional team providing service excellence. We have many years experience catering for weddings, parties, dinner parties, corporate events, and other special occasions. Design your menu and event with us. We cater for intimate dinner parties to corporate events with over a thousand people attending. Whether your wedding or event is to be classical and traditional or quirky and distinctive, let us work with you to create a menu that reflects your preferences and requirements. Should you choose a recommended venue, your home or a marquee, we understand that the food at your wedding, party or celebration is the centerpiece of your day. Just because it is business, it does not mean you cannot have wonderful food. We are proud to have worked with some of the country’s most prestigious clients and brands. Our services range from partner brunches, lunches & dinners, canape networking events, awards dinners and launch parties. 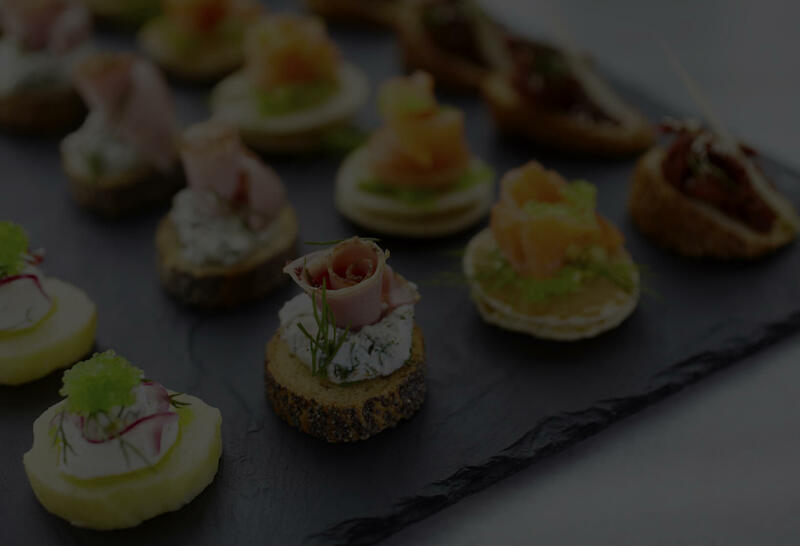 As every corporate event is different, your menu should be designed to suit you, your company and your event, which is why we design a bespoke menu for every client.